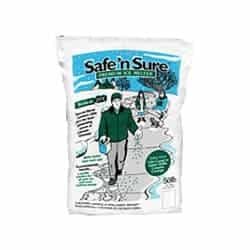 Safe ‘n Sure ice melt blend contains a unique combination of sodium, calcium, potassium and magnesium chlorides plus CMA. It breaks up ice and melts snow faster than rock salt, even at temperatures as low as -25 °F like we often see in our primary service areas of Washington DC, Baltimore, Virginia, Delaware, Pennsylvania and West Virginia. Safety green color makes product visible for even application. Breaks up ice and melts snow faster than rock salt. Helps make steps, sidewalks, driveways and parking lots safer. Safe ‘n Sure ice melt contains a unique blend of high performance ice melting chemicals (sodium chloride, calcium magnesium acetate, calcium chloride, magnesium chloride and potassium chloride), that when combined, produce a superior ice melting product. 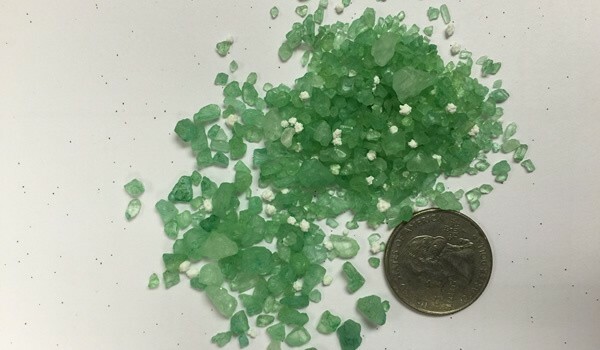 Safe ‘n Sure ice melt works well in extreme low temperatures and has been proved to break up ice faster than rock salt when temps are as low as -25°F. Safe ’n Sure Premium Ice Melter is the perfect way to fight the effects of winter storms.